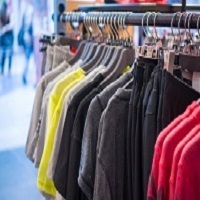 Department stores and traditional clothing & footwear retailers are losing market share to online pureplay retailers, and must look to follow their lead into delivery saver schemes according to GlobalData, a leading data and analytics company. This will encourage their customers to shop more frequently and keep the retailer at the forefront of consumers’ minds. The company’s latest report, ‘Delivery Saver Schemes in the UK – 2017’, reveals that 22.2% of online shoppers are subscribed to a non-food delivery saver scheme and 29.0% are subscribed to a food & grocery delivery saver scheme, with Amazon Prime and the Tesco delivery saver being the most popular schemes offered by non-food and food & grocery retailers. One in every five online shoppers in the UK is signed up to a delivery scheme, with Amazon Prime leading the way, but fellow pureplays ASOS and boohoo.com have also captured customer spend with delivery schemes. When online shoppers were asked which retailers they would like to introduce a delivery saver scheme, the top five retailers chosen were Argos, Marks & Spencer, John Lewis, Boots and Debenhams. These retailers all have a wide product offer and a core, loyal customer base that shops frequently and therefore should be looking to trial and invest in delivery saver schemes to avoid losing market share to retailers such as Amazon. Investing in this kind of scheme, for retailers like John Lewis, Marks & Spencer or Debenhams could bring some real benefits by encouraging subscribers to return to the retailer they are signed up to as their first port of call for purchases across different sectors, which will drive customer loyalty and spend per head with the retailer. One in five UK online shoppers is signed up to a delivery scheme, and this is set to increase as retailers like Next and New Look continue to build their delivery schemes subscriber base through continued marketing support. As online sales continue to grow, far outpacing physical retail growth to 2022, retailers must invest in delivery saver schemes to capture shopper spend. A food & grocery delivery saver scheme is defined as a scheme that offers unlimited free delivery on online food & grocery orders for a set period of time, for a one off cost (often sold as a monthly, 3 month, 6 month or annual subscription). This excludes fresh food delivery services such as Hello Fresh, Gousto and Graze. A non-food delivery saver scheme is defined as a scheme that offers unlimited free delivery on online non-food orders for a set period of time, for a one off cost. This does include subscription services such as beauty boxes including Birchbox and Glossybox.